Dessert size plate. Curious on value. Thank you! 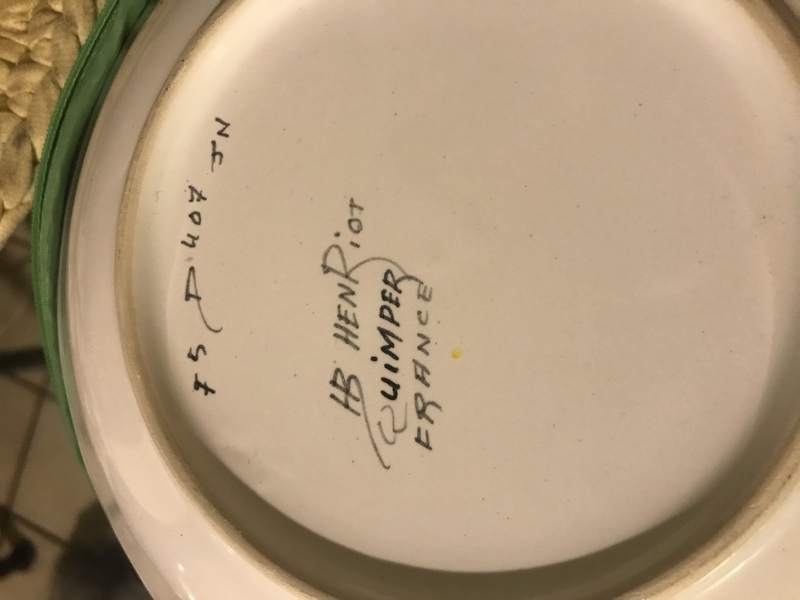 Quimper plates have had a number of revivals in popularity, at the moment they are not as popular as they were in the 1990's and values are not what they were. 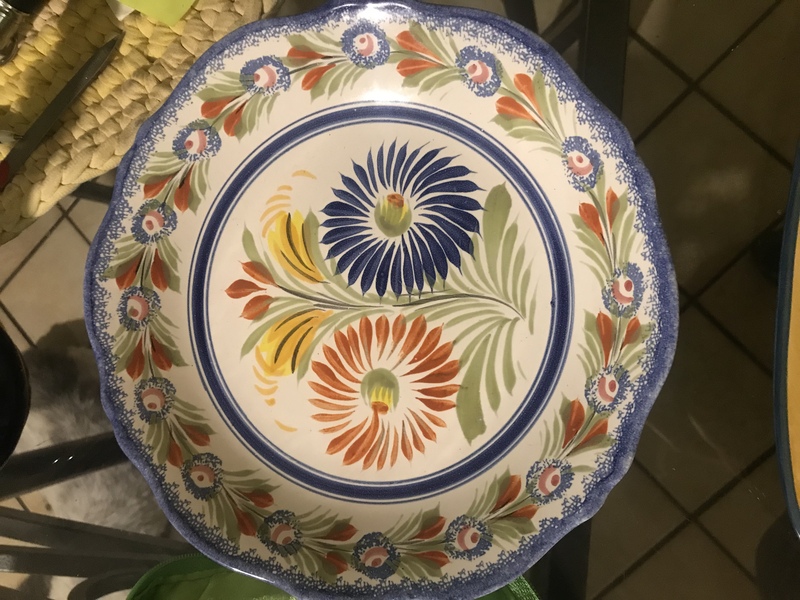 Single plates now go at auction for under $35.00 in most cases. I’m thanks for your reply.